MTBE - View topic - To all those petrol heads show as your motor. To all those petrol heads show as your motor. Don't ask about the greenhouse, no one sits in those chairs, we had a stray cat living in there. He lives in the house now. 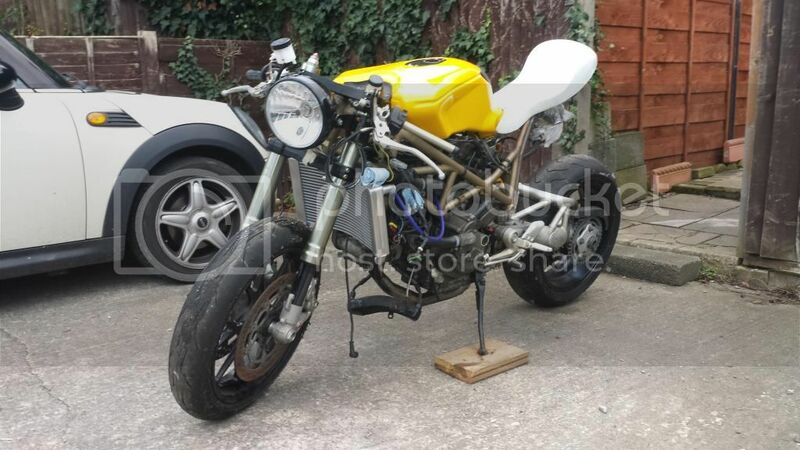 My Ducati ST4 based frankenbike project.